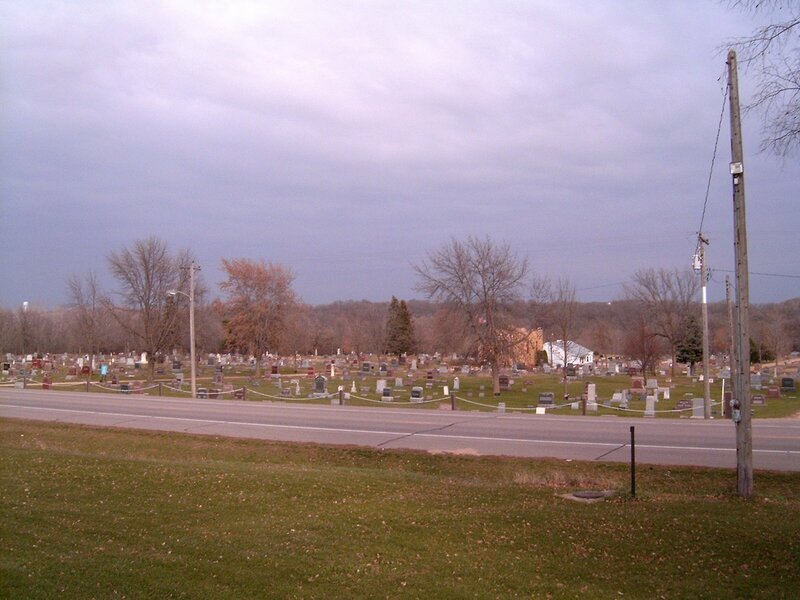 Riverside Cemetery history: In early June of 1870, a meeting was held in the office of J.W. Saeger with the intent to form the Jackson Co Cemetery Association. Trustees were elected with officers and included Mr. Saeger (Secretary), G.C. Chambers (Secretary), J.W. Hunter (Treasurer), H.S. Bailey, C. Baldwin, E.P. Freeman (Pres.) and W.S. Kimball (Actuary). They then chose a piece of property owned by Mr. Bailey a mile south of town overlooking the Des Moines River along Estherville Rd. 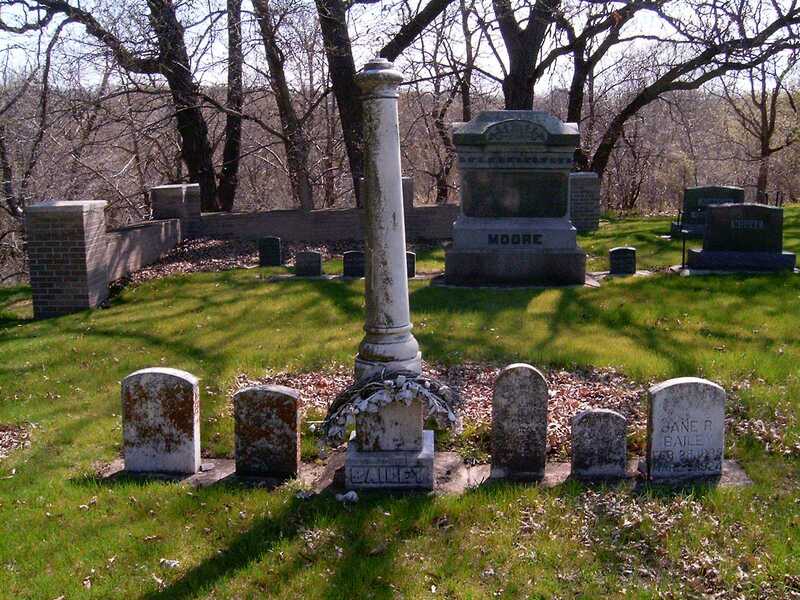 The earliest burial is Saraphine Wood who died 11 Aug 1879 and is located in Sec. 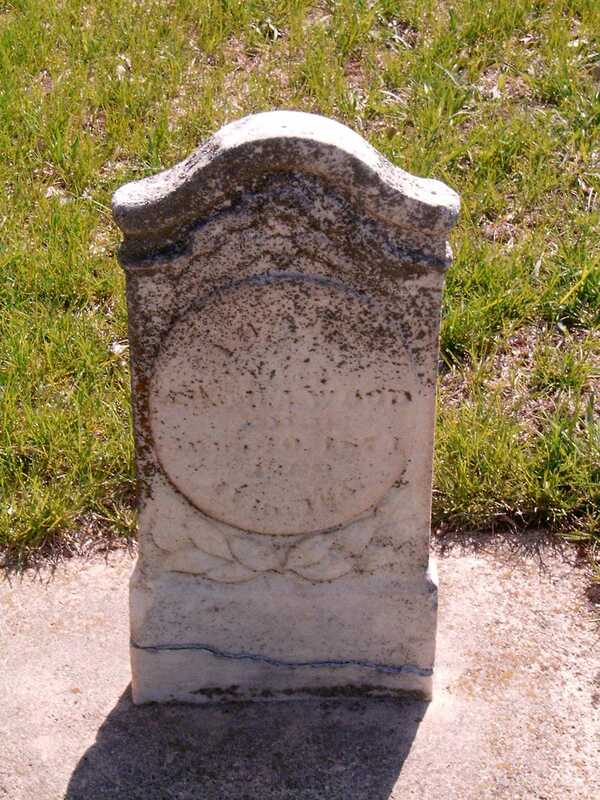 3, Lot 250, Grave 1. She was the wife of A.E. Wood from New York who was a Civil War vet and early settler in Jackson Co. 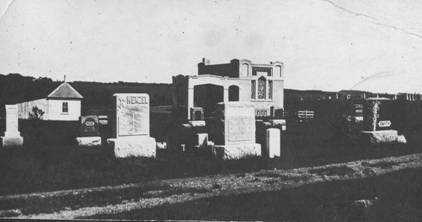 The oldest body is that of a young Julius Wheeler who died at Ft. Abercrombie ND at age 17 on 6 Aug 1879. His was involved in the Indian Wars during the Civil War and his parents later had his body transferred to Riverside, and is located in Sec. 3, Lot 249. 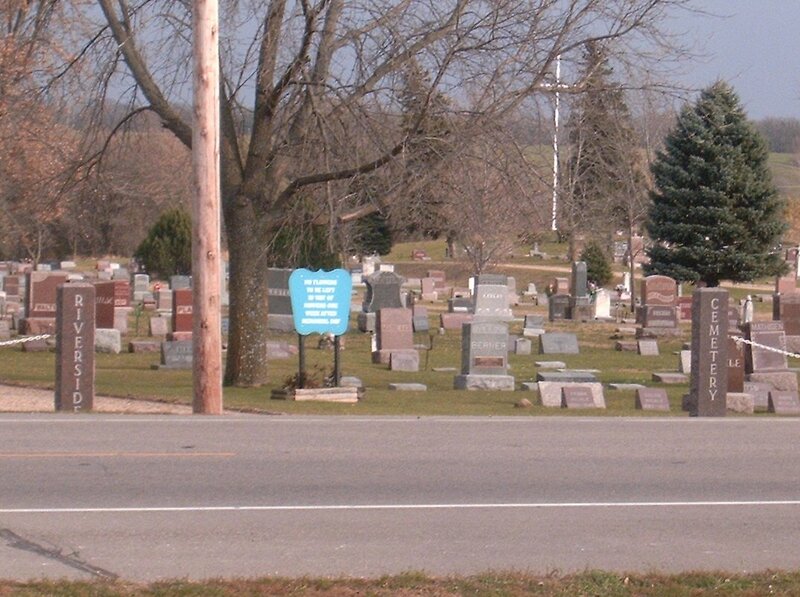 Several other burials in the cemetery have no records or markers. Photos looking east from Hwy 71.
toward the NE and east (backside) of Riverside. Windows Live Photo Gallery software (free download). Headstones difficult to read due to age. George, born in Wisconsin, was a very humbled and admired man. He accompanied his parents to Jackson Co at age 4. Lottie, born in Iowa, arrived in Jackson Co as a young girl with her parents. 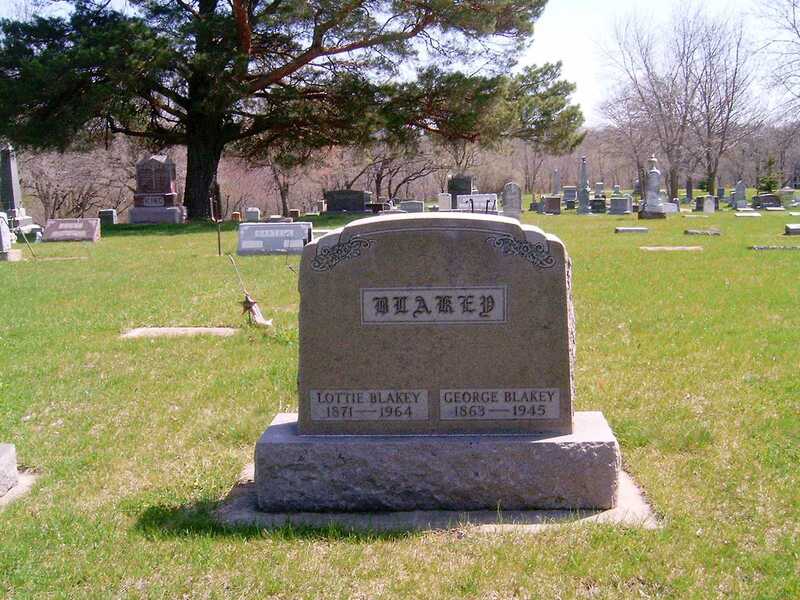 George and Lottie were married in Jackson Co and had 2 boys, Orville and Verland. Jackson Co Sheriff 1927-1934, and again 1939-1942. Chris was born in Hurup, Denmark, Aug 30, 1890. His father owned a mill in Hurup. They had 16 children. 4 of those immigrated to Canada and USA. Chris immigrated to the United States together with his brother, Gustav, in 1911 when Chris was about 21 years old. He went to Iowa and worked as a farm hand and ditch digger for laying tile. He then went to Lakefield, Minnesota and was employed as janitor at the local school. 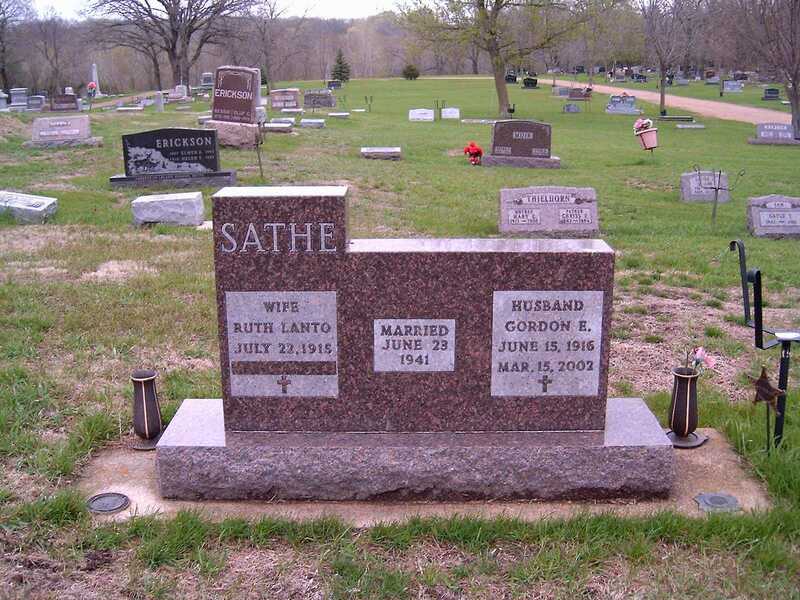 He married Sadie Mae Lodge 9 JUL 1921 in Jackson, Jackson County, MN, daughter of John Gardner Lodge and Dorothy Anna Bland. 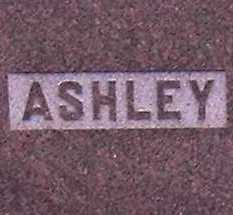 She was born 18 FEB 1897 in Red Burn, Lycoming Co., PA, and died 13 MAY 1951 in Jackson, Jackson Co, Minnesota. 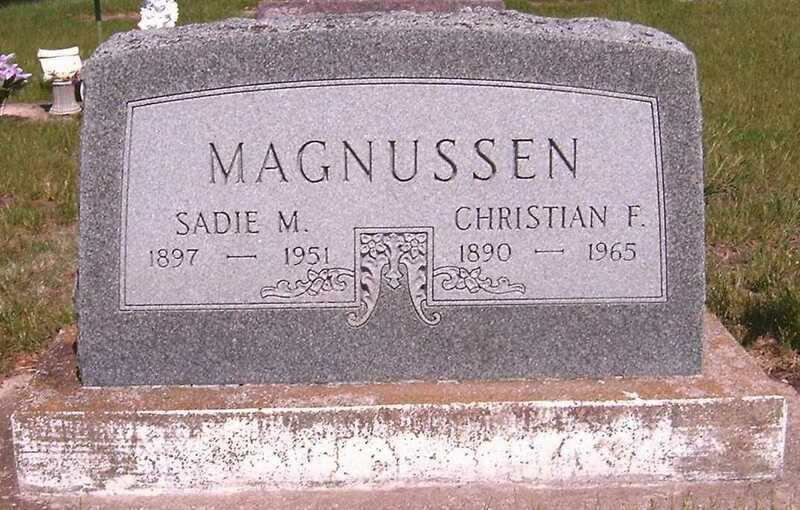 Chris and Sadie had twin girls in 1926, Arlene and Arliss. Later he bought 80 acres of farm land and raised cattle, pigs and chicken plus corn, alfalfa, wheat and flax. It's believed his brother "Gus" lived in the area, too. He drowned in Spirit Lake in 1921. Does the place Pottawatamie, Boomer Township sound right? There is a Gustav Magnussen there on the internet. Would like to verify. Frank (son of Warren and Amy Rice), Amy (wife of M.S. Clough), Mary E.
Gordon Sathe was the son of Jackson mortician and furniture merchant Oscar C. Sathe and Ormie C. (Ormsby). Gordons' roots hail from Norway through his Grandfather, Ole Sathe, who eventually emigrated to Jackson in 1878 via Decorah IA and Lanesboro, MN. Gordon and Ruth were married 23 June 1941. Gordon served in WWII for 4 years in the infantry with the 103rd Div in Europe. He was awarded both the Bronze Star and Combat Infantryman's Badge, and was discharged as a captain when he returned to Jackson to continue with the funeral and furniture business. He enjoyed fishing and duck hunting.